British politician, known principally as the founder of the British Union of Fascists. 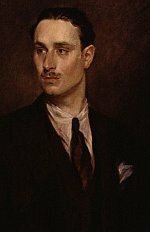 a political party in the United Kingdom formed in 1932 by a former Labour government minister and former MP of the Conservative Party, Sir Oswald Mosley. In 1934, aristocratic Lydia Langstone flees her marriage to the unexpected refuge of her father, a man she has never met, in Bleeding Heart Square, a broken down section of London. 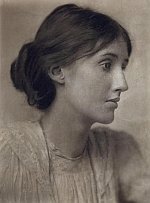 Accompanied by her volume of Virginia Woolf's A ROOM OF HER OWN, Lydia chooses her independence over an abusive marriage even if her choice puts her at odds with her family and aristocratic class expectations. As Lydia explores her new uncharted life, a dark mystery surrounds 7 Bleeding Heart Square. Four years ago, Miss Penrow, an older spinster vanished. Rumors about her murder by a lover seem to be the most popular explanation but if she is dead, why is someone sending Joseph Serridge packages of bleeding, rotten hearts today? He may have been the last known person to see Miss Penrow alive, but no body was ever found. Journalist Rory Wentwood is determined to solve the mystery and a plainclothes policeman haunts the square, presumably in an attempt to ferret out a clue. As Rory and Lydia come together in an attempt to solve the mystery of Miss Penrow's disappearance, danger erupts in unexpected corners, a danger that threatens their very lives. Set during the turbulent years between two world wars, BLEEDING HEART SQUARE frames the mystery during period of unrest as the British Union of Fascists come onto the political scene in England. Against this political backdrop, Andrew Taylor casts his eye on a more personal event, the story of love gone bad in the case of Lydia Langstone and the dark unsolved mystery of Miss Penrow's life. Although seemingly unrelated other than by time and place, the true genius of Andrew Taylor's BLEEDING HEART SQUARE emerges in the last pages as subtle thematic elements make connections between the political and the more intimate dynamics in one's relationship with others. In just the right measure, Andrew Taylor leaves the reader with an image of evil that haunts. Just as Andrew Taylor joins history with a more personal lens into individuals, the author also builds the story through weaving together different narrative voices, voices with thematic resonances and differences in the midst of the unfolding plot. In BLEEDING HEART SQUARE, the narrative alternates between the present day 1934 story of Lydia Langstone and the earlier diary of Miss Penrow's own voice and perspective. Each diary entry is prefaced by a chilling commentary addressed to the reader, a forewarning of the darkness ahead. Andrew Taylor's brilliant multi-layered use of different narrative voices heightens the suspenseful tone of the story. Between the diary itself which charts the transformation in Miss Penrow's awareness and the eerie prefaces, the reader catches a partial glimpse of the ending, anticipating the final expected resolution, but just when the puzzle seems complete, the narrative takes the reader even further into the twisted tale of Miss Penrow's diappearance. Andrew Taylor's historical mystery is a perfect combination of resonance and differences between the history and the personal as well as the different narrative voices. The Bleeding Heart Square itself is layered with history. The interrelations between the characters are interconnected and layered in unexpected combinations that give a rich depth to this mystery. Andrew Taylor's historical mystery is a perfect combination of resonance and differences between all the layers tht give it such a fine richness. Never heavy-handed, the author allows the reader to make the connections, with some false clues, with some true, in a manner that maximizes both the suspense and the breath-taking experience of reading along the way to the shocking end. BLEEDING HEART SQUARE deals with issues that may be difficult for some readers. The very title alone gives a hint that this is not a cozy light mystery. From the beginning in Lydia's escape from her abusive husband, the reader discovers that the author is willing to look into the darker side of relationships and the lives of women. In this mystery, the violence and darkness is never gratuitous for the sake of cheap thrills at the expense of his female characters. Indeed, the beauty of this work comes from the author's ability to peer into the very heart of darkness, of what some might call evil, and lay bare the insidious yet incremental manner it takes hold. BLEEDING HEART SQUARE is a mystery that will haunt readers long after the final page. Brilliant and one of the most stunning novels I have read!